I have three kids so naturally our house is a noisy, chaotic disaster most days (which I wouldn’t change for the world). Quick, easy lunches are the order of the day most of the time. So, we have sandwiches- a lot! My favorite thing about sandwiches? My little monsters angels can make them themselves. Sandwiches are the go-to lunch for my kids but even they get tired of just PB&J and we are all always looking for fun new sandwich ideas. In my bid to ensure we lead a healthy lifestyle, whole wheat bread has become a staple in my pantry. Contrary to what a lot of people think about whole grain bread, it’s not all dry and bland. 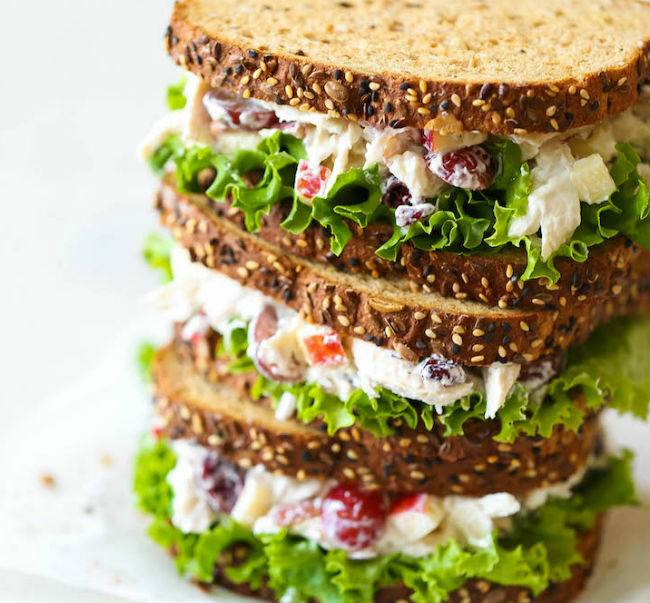 It gives texture to your sandwiches and packs a lot of healthy fiber, good for everything from weight loss to lowering cholesterol to feeding the healthy bacteria in the gut! Plus, whole grain breads help keep us fuller for longer (whole wheat is digested slower than its white counterpart). As the name implies, it’s an Italian favorite and is as delicious as it is healthy. It has loads of veggies(roasted broccoli! roasted peppers!) piled between slices of toasted whole wheat bread and then topped with marinara and cheese. Pizza meets a sandwich meets your tastebuds and it’s a match made in heaven. 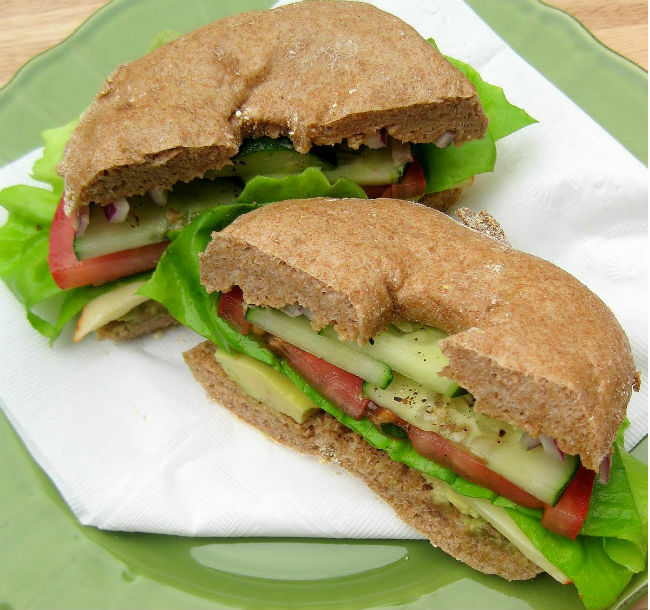 Whole wheat is great for reducing your cholesterol and avocados have great health benefits. That’s why this sandwich is one of my favs! 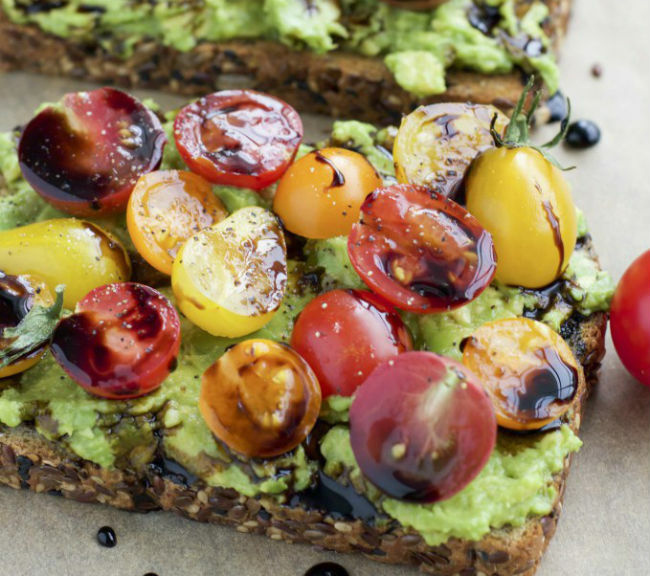 Plus between the fiber in the bread and the fat in the avocado you will have energy for hours! I love bagels and so do my kids. Opting for whole wheat bagel thins gives you the bagel flavor you love with fewer carbs and plenty of fiber. 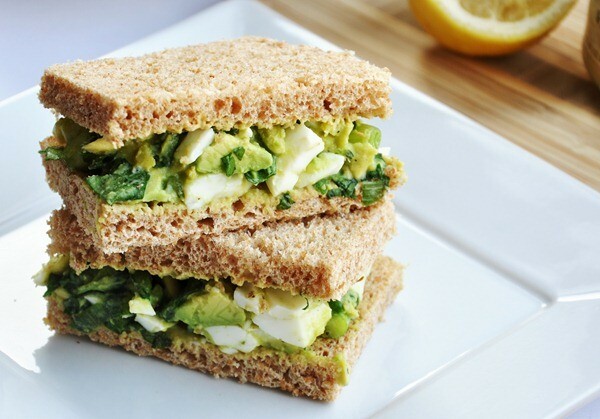 These sandwiches taste great with the avocado and cheese placed between slices of tomatoes and cucumbers. Tofu is the king of vegetarian and vegan recipes. This plant based product doesn’t get nearly the respect it deserves- it’s versatile and can be cooked in so many ways. 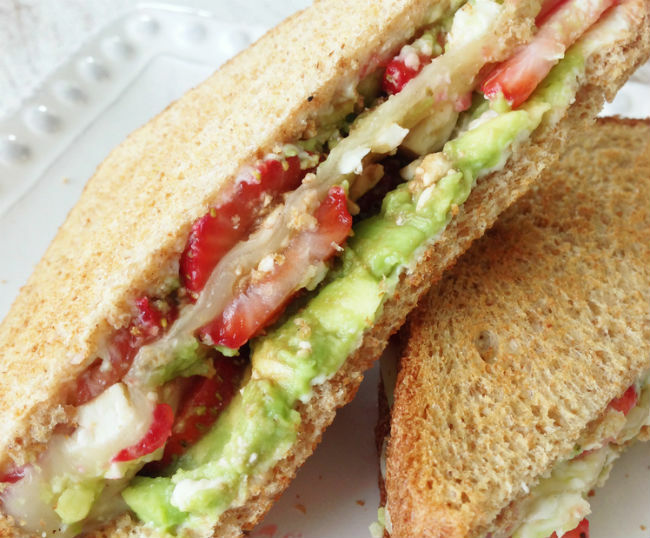 This vegan spin on the classic BLT will leave your mouth watering. Be sure to get the best, ripest tomatoes you can find! Not a drop of mayo to be had. Instead this creamy egg salad gets it’s luxurious texture (and gorgeous green hue) from heart healthy avocados. Pro tip: avocado is a great mayo replacer in most recipes! This sandwich is so loaded it practically explodes on your plate. You’ve got crisp, fresh vegetables, salty feta and then- this is where it gets good- a flavor bomb in the form of cilantro jalapeno hummus. Boom. You’re tastebuds won’t know what hit them. 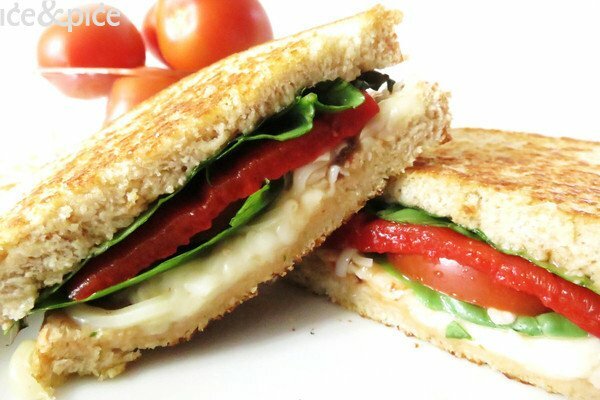 This sandwich recipe is really simple but the best part is that it comes with easy step-by-step instructions on how to make your own whole wheat bread fresh from the oven. With some Caprese magic and bread slices, lunch is served in mere minutes. 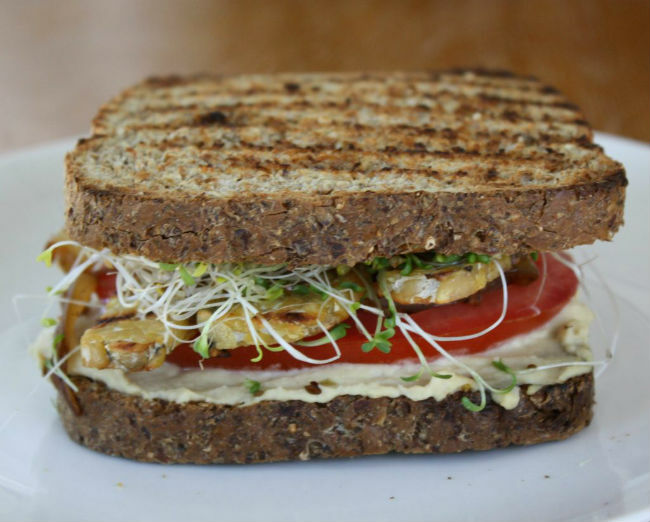 Flavorful hummus, spicy green chili, and tasty tempeh on top of sprouted grain bread make this sandwich a delightful meal anytime of the day. This sandwich is missing the meat, but I bet you won’t notice or care. 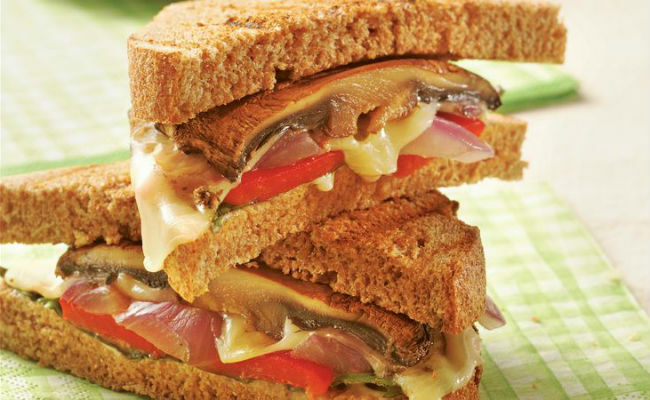 Sunflower seeds add a crunch while red onions add zest and the dressing ties it all together. 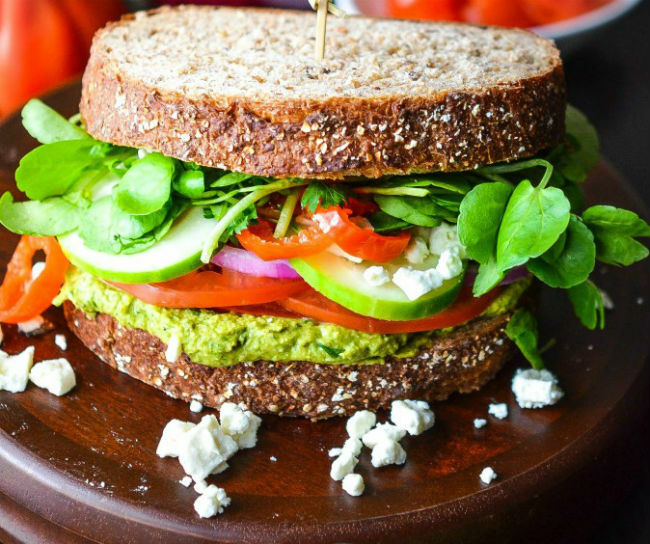 It’s healthy and flavorful and everything a sandwich should be. Mushrooms pack a lot of copper, potassium, and protein, which is why I love adding them to a lot of recipes, especially as meat substitutes. 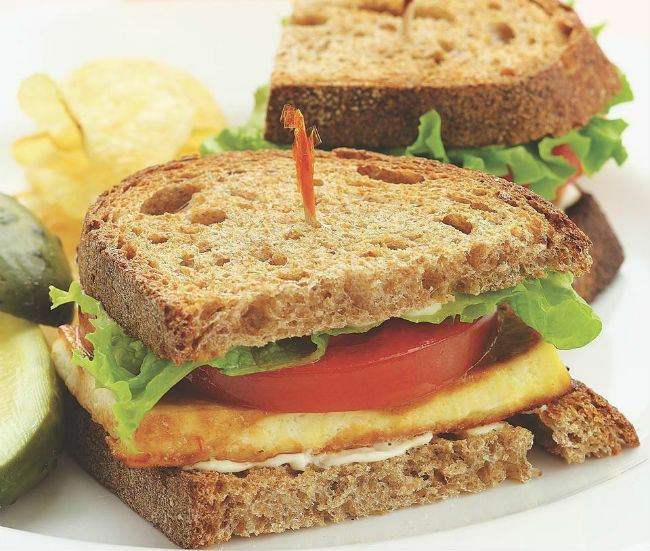 These sandwiches are small but very filling and have a great taste that appeals to everyone! This sandwich is definitely the belle of the ball. It is so delicious you won’t believe that it’s actually quite healthy. I was initially skeptical about the Greek yogurt as an ingredient but I was wowed when I took that first bite. If grapes aren’t in season then you can try pomegranate seeds instead. 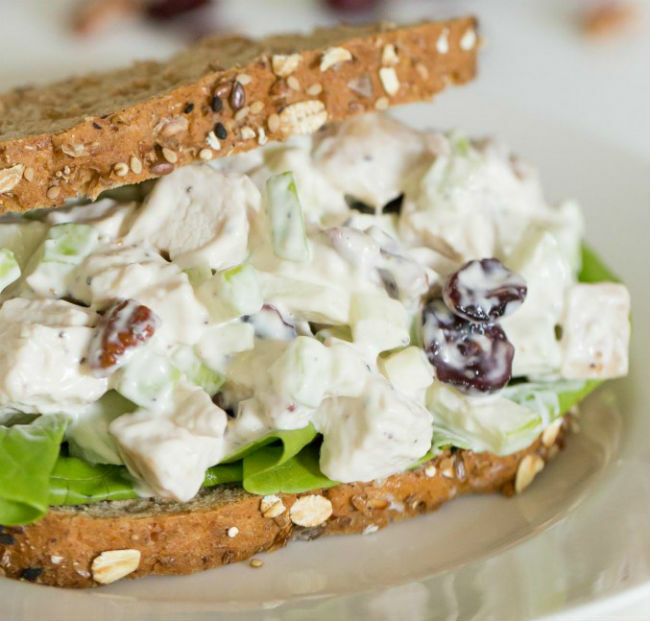 My family loves chicken salads and this recipe is a great way to use up any leftover salads. 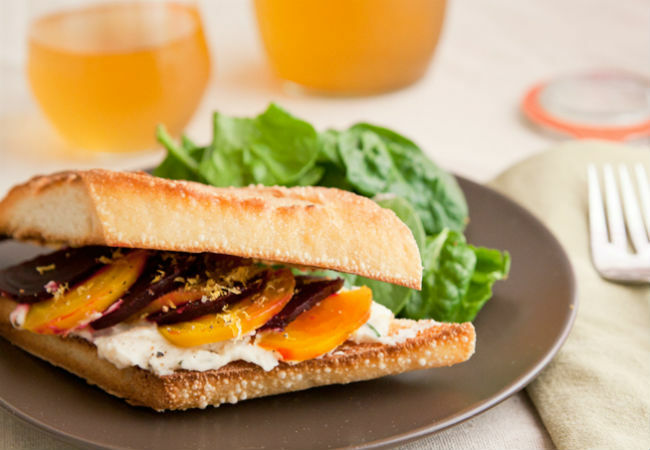 With the addition of season fruits and nutty pecans, this sandwich is enriched with a lot of vital nutrients. 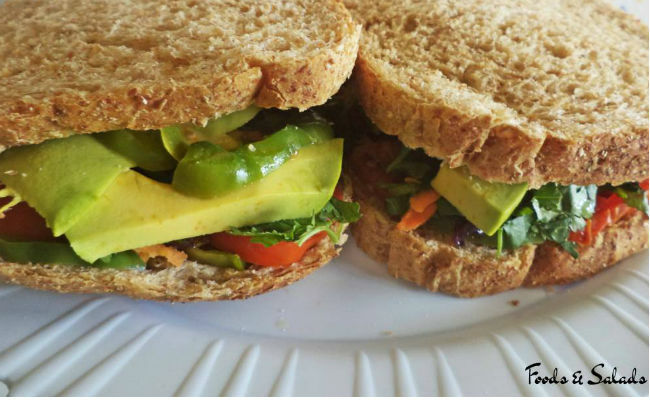 This colorful sandwich recipe is what I call a triple F; Fun, Fast and Flavorful. I’ve discovered over the years that avocado is a great, heart healthy substitute for mayo in a lot of recipes. 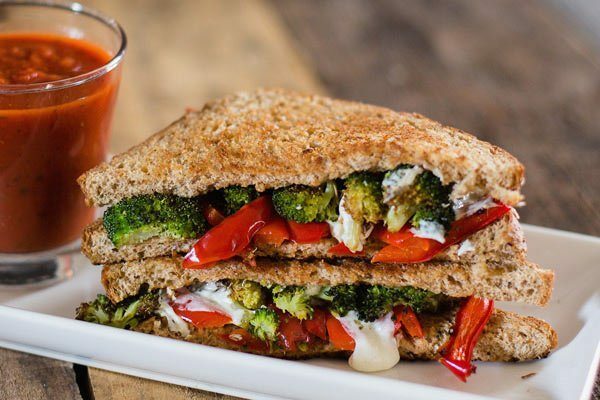 The balsamic vinegar gives a tangy taste and a wonderful aroma to this sandwich. 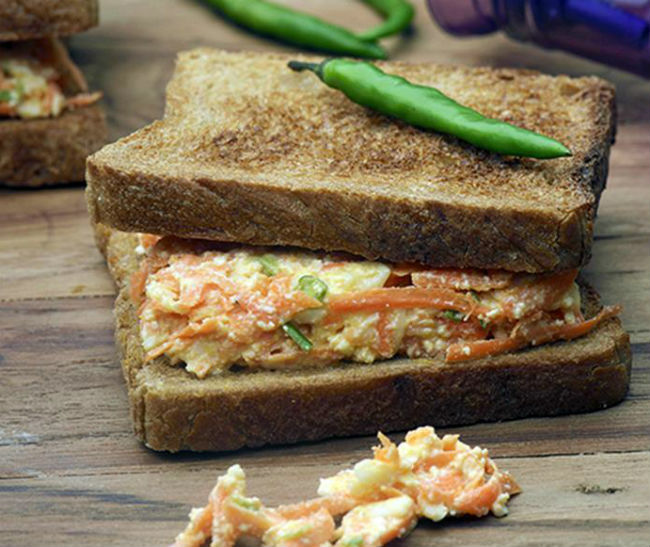 This easy recipe is an Indian inspired creation and can be whipped up less than 20 minutes with fresh carrots and organic cheeses. This recipe is as sweet as it is tangy. The combo of strawberries and avocado make this sandwich as decadent as a strawberry cake, and it’s very healthy. The crunchy bread and creamy stuffing make it a great snack. Poor beets are often misunderstood and don’t get the love they deserve. This simple recipe is here to change all that- and it’s a great recipe for a beetroot novice to try out. 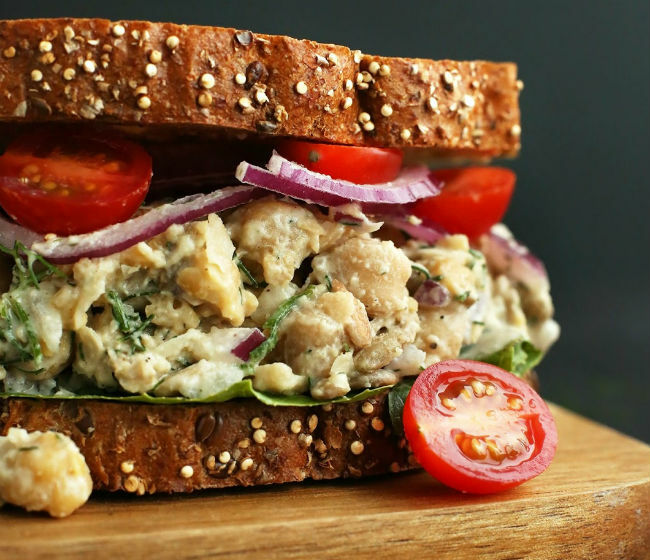 My favorite part of this recipe is the creamy vegan white bean spread which will have you rethinking sandwich spreads forever.